The GLSA is pleased to welcome the Capital Area Classic! 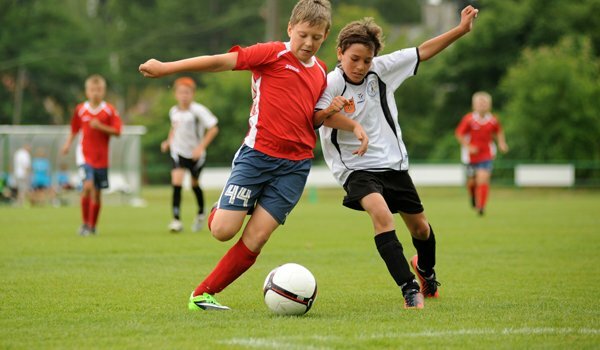 The Capital Area Classic is one of the largest youth soccer tournaments in the state of Michigan, which occurs each fall in the Lansing area. Soccer enthusiasts in the area and around the state have their sights set on the Capital City this weekend, September 19-20, 2015 for top-notch soccer tournament action. Both the players and coaches, as well as spectators and fans will fill the venues at the East Lansing Soccer Complex and Holt High School. Are you a participant in this tournament? The GLSA wishes you good luck. Are you a spectator, fan parent or sibling? The GLSA invites you to not only enjoy the tournament, but the entire Greater Lansing area as well. The region boasts shopping, dining, family friendly attractions and much more. Be sure to explore the THINGS TO DO section of this site for detailed information on all your options. Yes, soccer players from all around the great state of Michigan are traveling to the Lansing area to compete each fall in one of the largest soccer tournaments Michigan has to offer - but there&apos;s more. They are also coming to stay in area hotels, eat, shop, and see movies and more. So make sure its your goal to not only win the tournament, but make the most of your time in Michigan&apos;s Capital City. Were happy you&apos;re here.